“Think you can, think you can’t; either way, you’ll be right” (Henry Ford). Dr Harry Barry describes anxiety as ‘an uncomfortable state of hyper-alertness due to fear’ in which ‘the body’s internal stress system is constantly activated’. 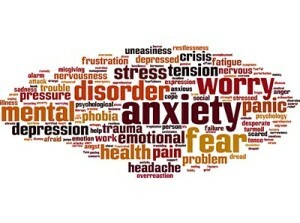 The lives of around 5% of the Irish population are impeded by abnormally high levels of anxiety. Anxiety can be characterised by feelings of fear, worry or uneasiness producing physical and psychological responses which facilitate a high alert state within the body. These reactions usually fade once the stressful situation (or ‘stressor’) has passed. However while primitive man successfully countered the dangers of his era through combat or by absconding, a fight or flight to response in today’s world is often inappropriate because these threats are mainly only perceived and not real. Such anxiety responses are actually unintentionally established by us a means of attempting to keep ourselves safe. Moreover because we feel we do not have an outlet to release these undesirable symptoms from our own bodies, we tend to avoid certain situations in the hope that our anxiety will not be triggered. This is often described as developing “a fear of the fear itself”. Consequently people are denied potential job opportunities or chances to develop personal relationships. Some may irrationally anticipate tragedy or worry about family, money, health and perhaps even about how to get through each day. Panic attacks of intense anxiety are a feature of panic disorder but not everyone who has a panic attack will develop panic disorder. Anxiety can be a general emotional response, or it can be triggered by specific situations or events. Sometimes anxiety can occur when faced with a particular event or object, such as flying on an airplane or fear of getting an injection. Other times anxiety manifests following the trauma of a death, injury, violence, drugs, poverty or abuse. Experiencing such a traumatic event may lead to feelings of extreme fear or helplessness. Some theories suggest people suffering from anxiety are predisposed to a number of contributing factors, such as chemical imbalances in the brain, genetics and perhaps personality type. In fact many medications are known to create anxiety as a side effect but any decision to refrain from these should first be discussed with an individual’s GP. Anxiety can also generate specific, repetitive behaviours that may be disruptive to a person’s daily life: for example, constantly washing hands, or regularly checking that doors and windows are locked. Although individuals know that their actions are irrational they persist with these so-called safety behaviours in an attempt to avert their feelings of anxiety. Nonetheless rather than containing or eradicating their fear, safety behaviours actually reinforce the cycle of anxiety! Constant worries and fears distract you from your day-to-day activities interspersing a persistent feeling that something bad is going to happen. GAD sometimes presents through insomnia, stomach upset, restlessness, and fatigue. Around 5% of people will suffer Generalised Anxiety Disorder during their lifetime. Many people with an anxiety disorder suffer from more than one, and their anxiety issues are also often combined with high rates of alcohol or drug abuse, or depression. If you have a debilitating fear of being seen negatively by others and humiliated in public, you may have social anxiety disorder, also known as social phobia. Social anxiety disorder can be thought of as extreme shyness. In severe cases, social situations are avoided altogether. Performance anxiety (better known as stage fright) is the most common type of social phobia. Fear of public speaking, an extremely common phobia, is the most common social phobia. Other fears associated with social phobia include fear of eating or drinking in public, talking to strangers, taking exams, mingling at a party, and being called on in a classroom or workplace. Symptoms of a panic disorder can be so severe that those suffering often believe they are having a heart attack or suffering from another life threatening illness. They are commonly feature repeated, unexpected waves of panic, as well as the overwhelming fear of experiencing another episode. Panic attacks may also be accompanied by agoraphobia, which is a fear of being in places where escape or help would be difficult in the event of an episode of panic. Research indicates random panic attacks are brought on by our own ‘fight or flight’ response. Since prehistoric times this fight or flight response, has been our in built alarm system. If it alerted us to a danger level beyond our defensive abilities, we simply fled the scene. In the modern world most of the time we can rationalise there is no real threat to our safety from everyday situations such as public speaking or flying. However when the false alarm still continues to sound this causes significant mind and body reactions. Fear of when the next attack will occur causes persistent worrying and intense anxiety between attacks, i.e. fear of the fear itself. Panic attacks can seriously limit the way a person lives their life as they attempt to avoid situations that trigger the attack. This vicious circle of negativity can fuel the development of other problems and phobias. A phobia is an unrealistic or exaggerated fear of a specific object, activity, or situation that in reality presents little to no danger. Common phobias surround spiders, flying, and heights. Unfortunately avoidance strengthens these phobias allowing them to become more intense in the presence of certain triggers or even at the thought of them. Phobias are thought to be created through inappropriate learning when we experience traumatic events and emotions as we grow up. If the emotions associated with these times were very intense and unpleasant to deal with, our minds ‘bottle them up’ and even lock away the memories of them. The phobia may develop over a number of years yet it may not surface until something triggers the original emotions. Feelings and panic felt as a response to a phobia are unhelpful defence mechanisms to a perceived dangerous situation from the past. Nevertheless because our in built “fight or flight” response perceives danger to be occurring in the now, the terror of the phobia takes hold of us. Anticipating how we will feel during our next phobic episode results in persistent worrying and intense anxiety. This fear of the fear itself fuels the development of other phobias such as agoraphobia and various social phobias. Animal phobias: Animal phobias are fears caused by an animal or insect. E.g. Fears of snakes, spiders, rodents and dogs. Natural environment phobias: Natural environment phobias are fears caused by objects found in nature. Examples include fear of heights, fear of storms, fear of water, and fear of the dark. Situational phobias: Situational phobias are fears triggered by a specific situation. Examples include fear of enclosed spaces (claustrophobia), fear of elevators, fear of flying, fear of dentists, fear of driving, fear of tunnels, and fear of bridges. Blood-Injection-Injury phobia: Blood-injection-injury phobia involves fear of blood, fear of injury, or a fear of injections or another medical procedure. Agoraphobia: Although agoraphobia is traditionally defined as a fear of public places and open spaces, it is now believed that it can develop as a complication of panic attacks. Fearful of subsequent panic attacks, people with agoraphobia become anxious about being in situations where escape would be difficult or embarrassing. They tend to avoid environments where their panic may be invoked such as shopping centres, airplanes, or restaurants. In severe cases sufferers only feel safe at home. Usually beginning in childhood or adolescence OCD affects 1 in every 30 people with distressing thoughts or obsessions and habitual behaviours or compulsions (HSE 2008; HSE 2012). Common recurrent obsessions involve hygiene, and fearing harming yourself or others, whilst checking, counting, washing and cleaning are compulsions dominating repetitive behavioural patterns. Under the umbrella of CBT people can learn through exposure therapy and response prevention that alternative actions can achieve positive outcomes whereby failure to act on a compulsion does not carry a negative price. Tolerating the discomfort of resisting the compulsions may be also undertaken via medications, self-help techniques and in support groups. PTSD is an extreme anxiety disorder that can occur in the aftermath of a traumatic or life-threatening event. It can be thought of as a panic attack that rarely, if ever, lets up. Symptoms of PTSD include flashbacks or nightmares about what happened, hypervigilance, becoming easily startled, withdrawing from others, and avoiding situations that remind you of the event. How can therapy address anxiety and panic? Given that the symptoms of anxiety are similar to those of various other medical conditions, it is recommended that an individual’s first port of call should be to their local GP. 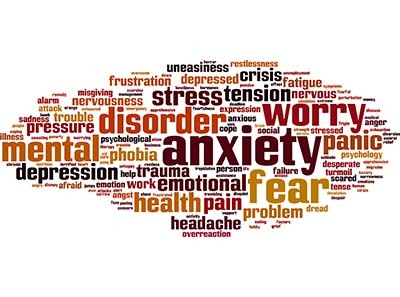 Psychotherapeutic interventions combined with either a short or longer term course of anti-anxiety medication are increasingly perceived as a highly effective treatment approach across the medical sphere (Carr, 2001). Cognitive behavioural therapy and exposure therapy both focus on behaviours rather than on underlying psychological conflicts or issues from the past. Behavioural therapy for anxiety typically occurs over 5-20 weekly sessions. Long established histories of anxiety within a family can maintain the anxiety of one or more members, despite the best efforts of the individual to change (Carr 2001). Employing an integrative cbt approach I work with clients to identify their own unique patterns of anxiety and panic. Frequently new-found clarity emerges about the futility of employing senseless safety behaviours which actually reinforce unintentionally-created vicious cycles of anxiety or panic. Alternative perspectives and behaviours are sought and explored in order to reframe or replace the negative or false outlooks that we have constructed about ourselves, others, the world and our futures. The purpose of our work together is to enable you to let go of or accept what you do not need to be in control of and to focus from the inside out and not upon yourself! Changing the way you think enables you to feel differently and this in turn can generate alternative behaviours. Collectively these elements of ourselves impact on our level of physical wellbeing so by making certain amendments in your thought-feelings-actions pattern, you can bolster your resilience and turn down the volume on unnecessary anxiety. Meanwhile exposure therapy promotes confrontation of fear in a safe, controlled environment. Gradual but repeated exposure to feared objects or situations, either in your imagination or in reality, desensitise your conditioned physical, emotional and psychological response capacities, as once threatening triggers are demonstrated as harmless. Exhibiting previous perceptions as false or redundant means the motive or dynamic that once fuelled the fear or anxiety gradually becomes powerless. Have you prior experience of working with anxiety or panic? Yes I have worked extensively with clients experiencing anxiety in various settings since 2010. This experience has encompassed working privately on a 1 to 1 basis with individuals and facilitating large AWARE support groups in a number of community locations. I was also tasked with training new facilitators to offer support, information and education around depression and anxiety in Waterford, Cork, Kilkenny and Dublin. Furthermore I held the anchor role as a weekly support group facilitator for inpatients in the Dept. of Psychiatry in University Hospital Waterford from 2011 to 2013 where I continue to deliver regular informational talks. Additional encounters with individuals whose lives are adversely impacted by depression and anxiety occurred during my 5 years with the Samaritans, as a bereavement support worker in family ministry, and within my ongoing work as a counsellor in a family resource centre. Seeking and accepting support is a strength and not a weakness so please feel free to contact me to take the next step. Long established histories of anxiety within a family can maintain the anxiety of one or more members, despite the best efforts of the individual to change (Carr 2001). Employing an integrative cbt approach (HYPERLINK TO ABOUT ME) I work with clients to identify their own unique patterns of anxiety and panic. Frequently new-found clarity emerges about the futility of employing senseless safety behaviours which actually reinforce unintentionally-created vicious cycles of anxiety or panic.